Just replayed this after almost 20 years and it was as awesome as the first time. 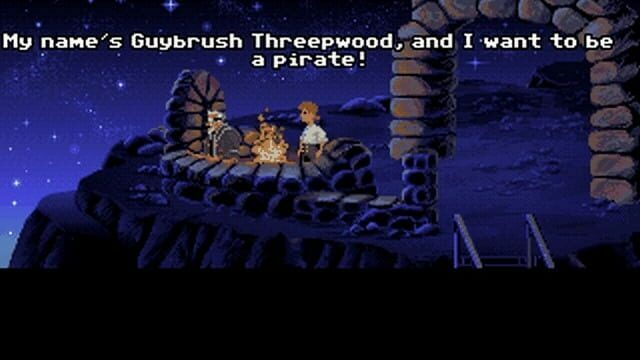 Guybrush Threepwood, a young man with desires to become a mighty pirate, travels to Melee Island, a pirate haven. Upon arrival he meets three " important looking pirates" in the SCUMM Bar who set him three challenges to test his worthiness. These entail defeating the legendary insult sword fighting master Carla, finding buried treasure and stealing a statue from the governors mansion. During a botched break-in to the mansion he meets and subsequently falls in love with the governor Elaine Marley. Elsewhere the ghost pirate LeChuck is seen pining after the love of his life, the same Elaine Marley, and hatches a plan to capture her. 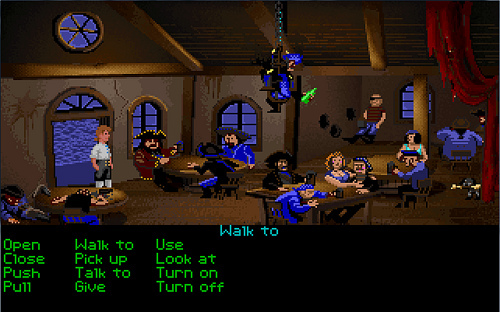 While Guybrush is busy finishing the trials LeChuck and his ghost pirate crew abduct her and take her to Monkey Island. 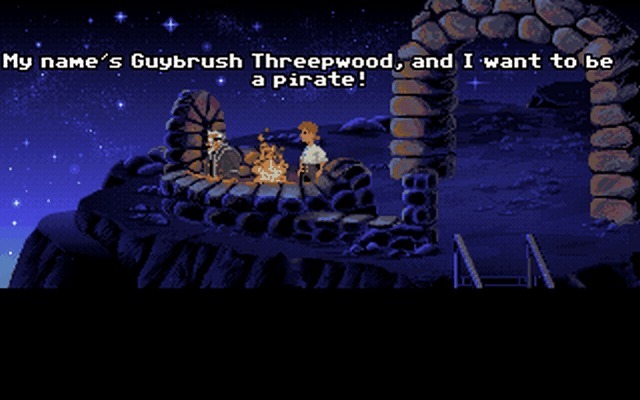 Upon completing the trials Guybrush discovers this revelation, purchases a ship from Stan, a used ship salesman who informs him the ship requires a crew of four people. After gathering Carla, the sword fighting Master he had previously defeated, Meathook, a pirate with two hooks replacing his hands, and Otis a prisoner in Melee Island's Prison Guybrush and crew set sail in pursuit to rescue her.